This natural gold crystal nugget from the jungles of Venezuela has a dendritic leaf type formation that is also hoppered and fluted. How rare is that! The detail is incredible and fascinating. 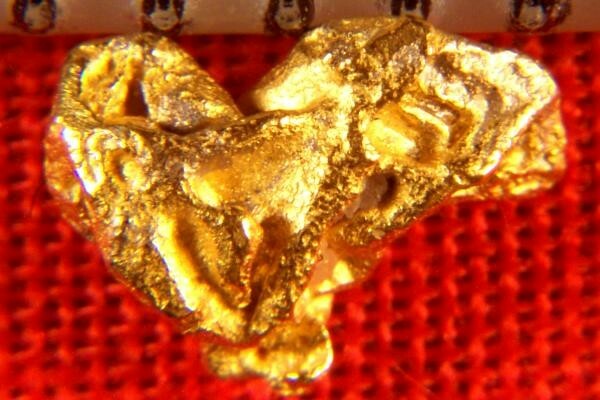 This gorgeous gold crystal nugget was recovered in Zapata, just outside of Ikabaru, near Santa Elena de Uairen in Venezuela. It purchased from a man who buys them from the Venezuelan miners who make their living recovering these gorgeous gold crystals in the jungle. 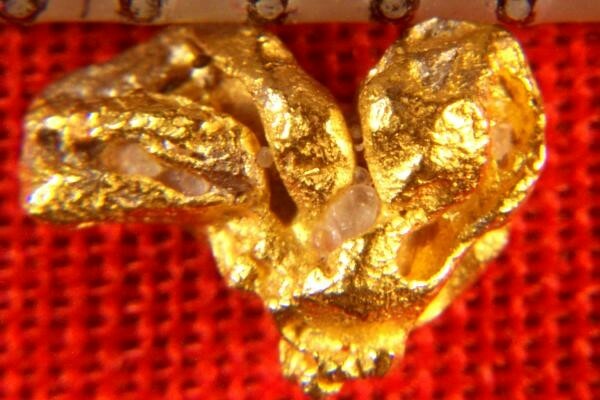 This multi crystal gold nugget is 1/4" (6 mm) long and weighs 6.4 Grains (0.42 Gram).